The Bureau of Land Management (BLM) and the Intermountain West Joint Venture (IWJV) are working together with a diversity of partners to achieve sagebrush conservation on public and private lands. Our work is designed to increase voluntary, incentive-based conservation through catalyzing restoration and management of sagebrush lands for people, wildlife, and the economy. 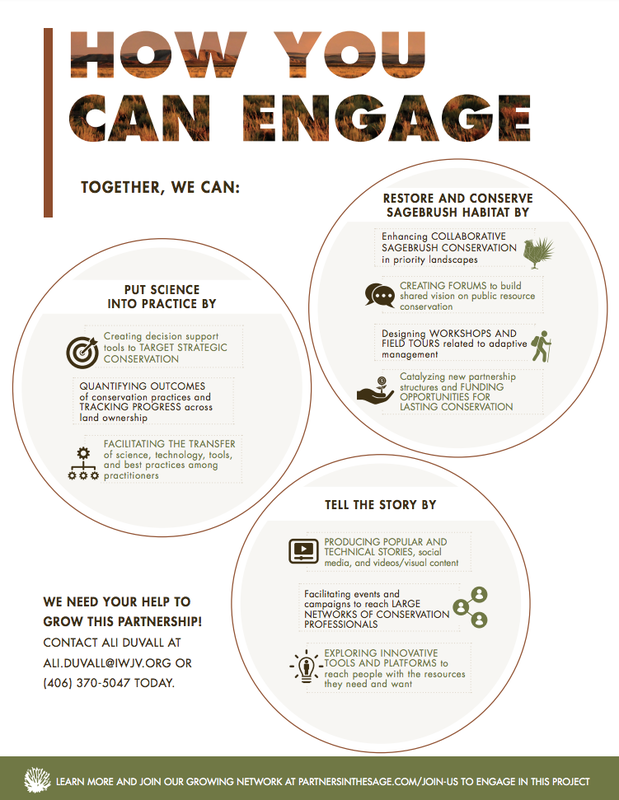 This fact sheet is a new tool to highlight our early 2018 accomplishments and breakdown how we can team up with you to enact greater sagebrush conservation into the future.